There’s no better annual event than Sundance Film Festival when it comes to discovering cinematic talent. This year is no exception, with a program of diverse films hoping to find an audience. Emma Thompson appears in Late Night by Nisha Ganatra. Photo Courtesy of Sundance Institute / Emily Aragones. Katherine Newbury (Emma Thompson) is a pioneer and legendary host on the late-night talk-show circuit. When she’s accused of being a “woman who hates women,” she puts affirmative action on the to-do list, and—presto!—Molly (Mindy Kaling) is hired as the one woman in Katherine’s all-male writers’ room. But Molly might be too little too late, as the formidable Katherine also faces the reality of low ratings and a network that wants to replace her. Molly, wanting to prove she’s not simply a diversity hire who’s disrupting the comfort of the brotherhood, is determined to help Katherine by revitalizing her show and career—and possibly affect even bigger change at the same time. Thompson brings pathos and amusingly severe charm to the pantsuit-clad Katherine. Smartly written by Kaling and snappily directed by Nisha Ganatra, Late Night takes on white privilege, entitlement, and a culture veering toward crassness and conservatism. Questioning how women in power are “supposed” to act, it delivers a winsome, sophisticated comedy about the times in which we live. James Quinn Markey appears in The Hole in The Ground by Lee Cronin. Photo Courtesy of Sundance Institute. Sarah moves her precocious son, Chris, to a secluded new home in a rural town, trying to ease his apprehensions as they hope for a fresh start after a difficult past. But after a startling encounter with a mysterious new neighbor, Sarah’s nerves are set on edge. Chris disappears in the night into the forest behind their house, and Sarah discovers an ominous, gaping sinkhole while searching for him. 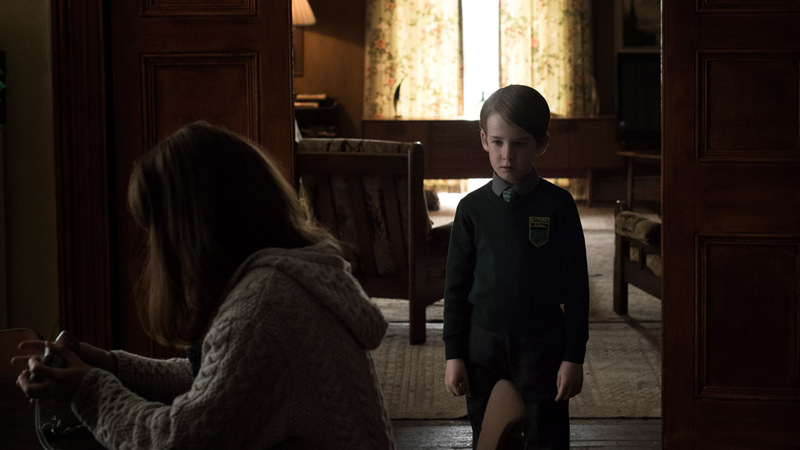 Though he returns, some disturbing behavioral changes emerge, and Sarah begins to worry that the boy who came back is not her son. Lee Cronin’s exquisitely crafted and sublimely atmospheric feature debut pairs unsettling camera work with a deeply ominous score, casting even such innocuous images as a row of toys or a children’s recital in markedly sinister light. Seána Kerslake delivers an impressively controlled performance as a mother who has centered her strength around protecting her child but finds her devotion overcome by a terrified feeling—that there’s an impostor in her house, and he’s watching her as closely as she’s watching him. Lupita Nyong’o appears in Little Monsters by Abe Forsythe. Photo Courtesy of Sundance Institute. Holliday Grainger and Alia Shawkat appear in Animals by Sophie Hyde. Photo Courtesy of Sundance Institute. Adapted by Emma Jane Unsworth from her acclaimed 2014 novel of the same name, Animals explores the long hangover between adolescence and adulthood through a bittersweet tale of two friends growing up and growing apart. Sophie Hyde, whose debut feature, 52 Tuesdays, won a best directing award at the 2014 Sundance Film Festival, takes a refreshingly nonjudgmental look at this fraught friendship, following Laura and Tyler through their hedonistic highs and soul-searching lows. Shawkat’s live-wire performance gives Tyler an anarchic comic edge that perfectly complements Grainger’s soulful turn as the conflicted and creatively blocked Laura. The duo is supported by a stellar cast, including Dermot Murphy as a dreamy, drug-addled suitor and Amy Molloy as Grainger’s weary but loving sister.